Main will join BEN, the automotive industry charity, in January from the Civil Service Benevolent Fund, where he is currently chief executive. 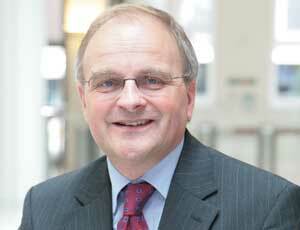 He replaces interim chief executive Christopher Macgowan. The role was initially created after the departure of Gerard Barclay, who left in March after four years in the job. "I am delighted to be joining BEN, which plays such an important role in the automotive industry and the other key industry sectors it serves," said Main. "I am looking forward to bringing to BEN the experience I have gained in my career, and in continuing BEN's long and successful record of providing practical help, advice and support to those associated with the industry."